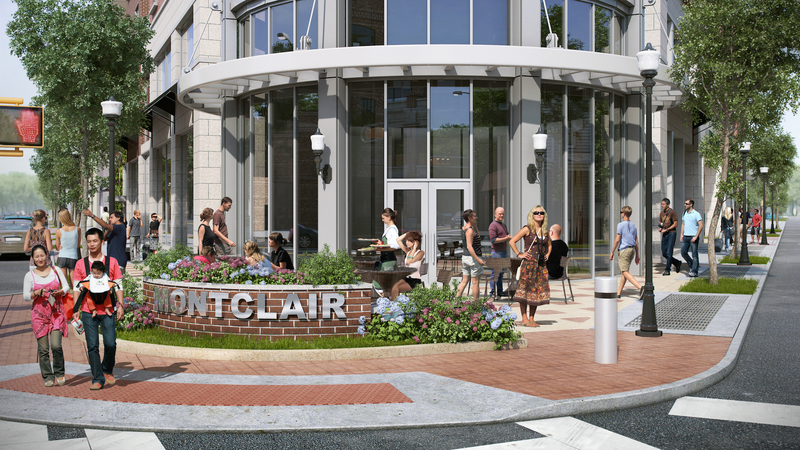 Montclair, home to the Lenape Native Americans, translates to ‘clear mountain’ in French. With its rich history spanning the Dutch to the Crane Family pioneers to Washington’s Headquarters and ultimately, becoming a sanctuary town of sorts for thriving New York entrepreneurs who wanted an easy escape from city to country, Montclair is one of the most desired communities in the Garden State. Summertime is a great way to take in the warm air, walk and explore, so put on your comfy gear and soulful shoes, and discover parts of Montclair you haven’t before. Here’s to a great day at the park with your loved one, your kids, your dog, or all in the kit and kaboodle. Once there, make sure you visit the pond and the small island where you will find a WWI memorial, a Montclair landmark. Considered “The Rainbow in the Hill,” Presby is all about the Iris as it is dedicated to Frank H. Presby, one of the founders of the American Iris Society and fellow Montclarion. Various fun events are planned so make sure to check the site for upcoming ones. You can also Plan Your Visit, stop by The Bloom Room Gift Shop (you may get a free souvenir following one of the walks, yay! ), and in July, check out the Summer Grab Bag Iris Sale. Be sure to visit the site as you can pre-order for the grab bag sale. All sales benefit the gardens, and if you’ve been intrigued by the Iris, you may want to go back and volunteer. If you have teenage kids, consider inspiring them to join you in volunteering together. The catch: You can each go in different fields so to speak, and afterward, get some ice cream! This just might be the hippest part of Montclair. Never a dull moment, and it makes for a great date night or for a girls or guys night out. So many great events to choose from! Like, “Jesse’s Girl,” showing now followed by Ah! heartthrob Rick Springfield performing in September; Eddie Griffin Live; The Wiggles; The Strange Xchange; Dennis Miller is there; and if this isn’t enough, there’s Gordon Lightfoot, George Lopez, and The Wellmont Laughs. Oh, and one more: Willy Wonka! Even if you’ve been to the Montclair Arts Museum (MAM), you know a repeat visit is in the cards. June 7th was Free First Thursday, featuring free admission to the museum between 5-9pm. And the Teen Space, a studio available just for teens was opened between 7-9pm. There was live music, a Draw Along Workshop, food, drink, and fun! Current exhibits include Kay Walkingstick, Philemona Williamson, and mysterious Matisse. If you’ve been to MAM, you know about the ongoing exhibits of Native American basketry and art which never gets old. While there, catch a dream. Montclair is a great town with eclectic shops, cute cafes, and a healthy mix of casual and fine dining. And don’t fret, there’s always a Starbuck’s around. And a Dunkin’. Be sure to check out Church Road and Upper Montclair for great spots, as well as everything else in between the town. For the latest in upcoming events and things to do in the coming months, check these sites: Things To Do In Montclair, Montclair Patch, Montclair Eats, and Shop Local Montclair. And then, Take It Easy, à la NJ! After all this fun exploration, make sure to book your massage with us at Health In Hands Spa in Montclair!